WebSiteSniffer is a new packet sniffer tool that captures all Web site files downloaded by your Web browser while browsing the Internet, and stores them on your hard drive under the base folder that you choose. WebSiteSniffer allows you to choose which type of Web site files will be captured: HTML Files, Text Files, XML Files, CSS Files, Video/Audio Files, Images, Scripts, and Flash (.swf) files. 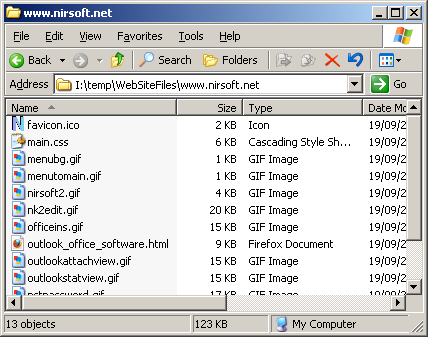 You can download the new WebSiteSniffer utility from this Web page. Posted by NirSoft on September 22, 2011 at 2:27 am under Utilities Update. Posted by NirSoft on September 15, 2011 at 1:11 pm under Utilities Update. NetworkTrafficView is a new network monitoring tool that captures the packets pass through your network adapter, and displays general statistics about your network traffic. The packets statistics is grouped by the Ethernet Type, IP Protocol, Source/Destination Addresses, and Source/Destination ports. For every statistics line, the following information is displayed: Ethernet Type (IPv4, IPv6, ARP), IP Protocol (TCP, UDP, ICMP), Source Address, Destination Address, Source Port, Destination Port, Service Name (http, ftp, and so on), Packets Count, Total Packets Size, Total Data Size, Data Speed, Maximum Data Speed, Average Packet Size, First/Last Packet Time, Duration, and process ID/Name (For TCP connections). 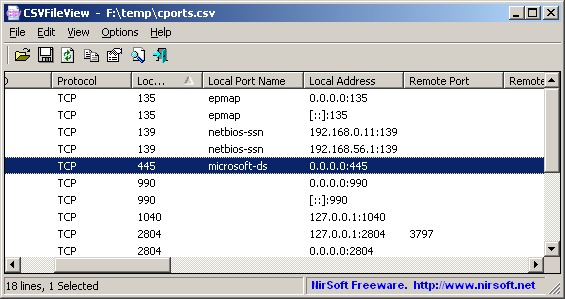 You can also try to use NetworkTrafficView without installing any driver, by using the ‘Raw Sackets’ method. However, the ‘Raw Sackets’ method is very limited and doesn’t work in all Windows systems. You can download the new NetworkTrafficView utility from this Web page. Posted by NirSoft on September 8, 2011 at 8:28 am under Utilities Update.